Tyler County courthouse, Woodville, Texas. 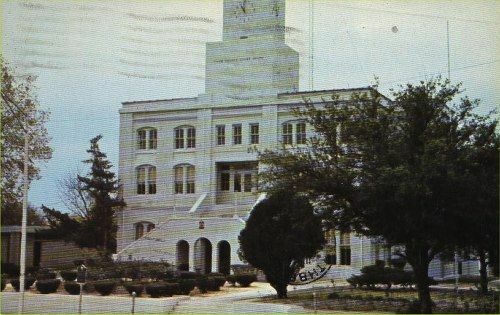 The courthouse underwent drastic remodeling in the 1930s, with the tower and gabled roofs removed. with the tower and gabled roofs intact. After the creation of Tyler County in 1846 and the subsequent selection of Woodville as county seat, this block was set aside for use as the courthouse square and the first courthouse was completed by February 1849. 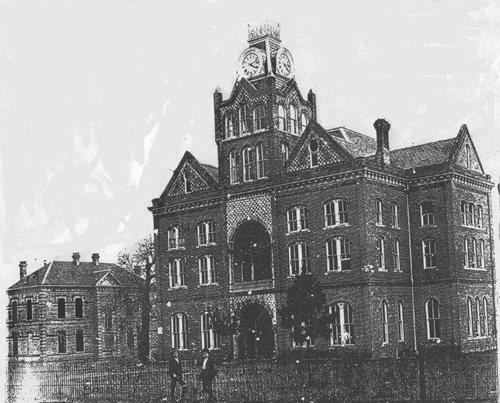 In November 1890, the Tyler County commissioners court, with county judge Henry West presiding, elected to build a new center of county government and authorized the sale of bonds to finance the construction. The Corpus Christi architectural firm of Glover and Hodges designed the new courthouse in typically eclectic Victorian-era fashion, incorporating elements of the Second Empire, Gothic and Mediterranean styles. Despite problems during construction in 1891, contractors M. A. McKnight and McKnight completed the courthouse in early 1892. 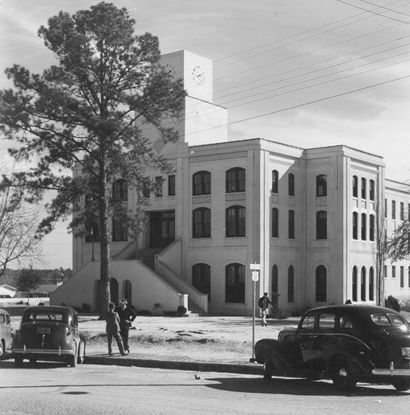 In 1935-1937 the county undertook a massive courthouse remodeling project with Works Progress Administration funds. Efforts to modernize the building at this time resulted in the removal of its more high style elements and the construction of a rear addition. Character-defining features from the original design, such as the windows and central tower remain, however. 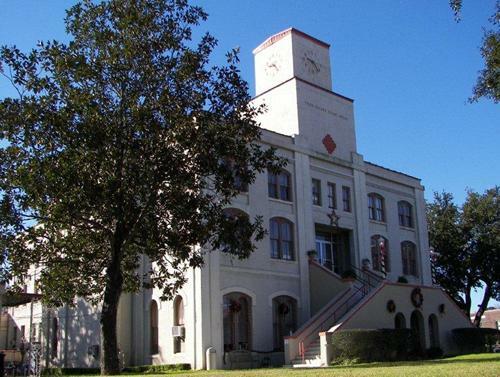 The Tyler County courthouse stands as a symbol of county government and a center of public and governmental activities. Its evolution from original design to current appearance is a part of the county's history and the building's service to the people of Tyler County. 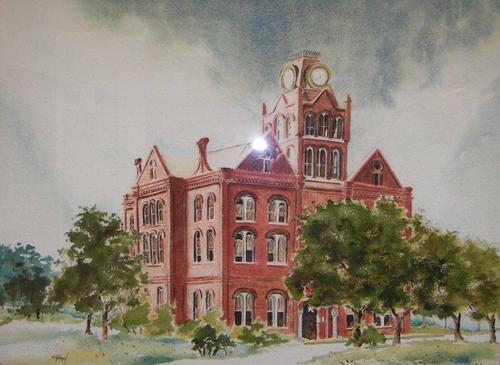 This painting of the 1891 Tyler County courthouse in its original condition is hanging in the office of Tyler County Judge Jacques L. Blanchette. It was painted by local artist Doretta Gilchrist. 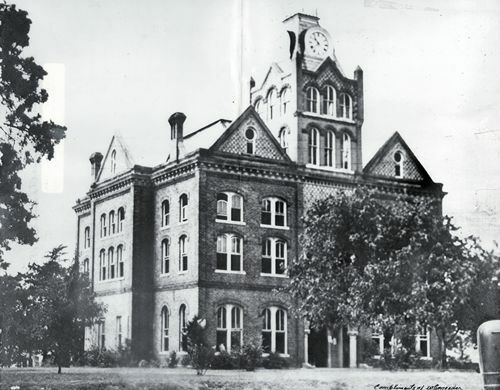 This Xerox photo of the 1891 Tyler County courthouse in its original condition was provided by Audrey Pelly, administrative assistant to Judge Blanchette. The small building on the left is the 1891 Tyler County jail designed by architect Eugene T. Heiner. 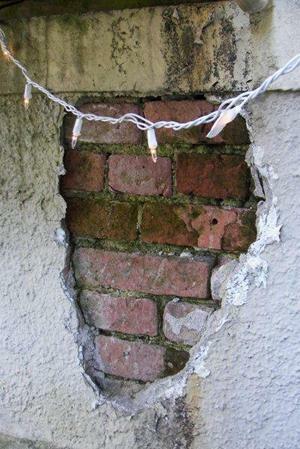 Audrey told me that they are in the process of applying for a grant to get funding to restore the courthouse to its original condition, including the reconstruction of the old jail (The 1891 jail was demolished during the courthouse's remodeling in 1936.) She said they would find out whether or not they would be getting the grant money by January 2008.